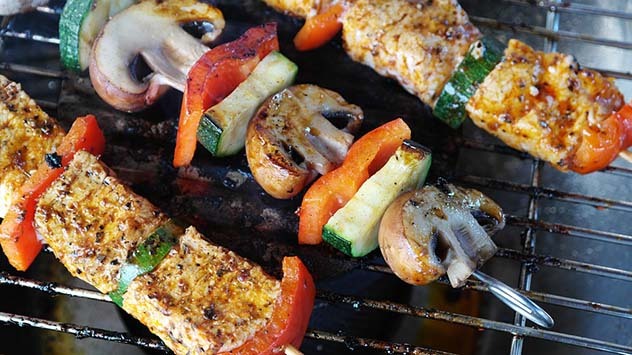 Before you make barbecue ribs, spicy grilled shrimp, chicken kabobs or other favorites, remember to stay safe. Nexgrill’s Evolution 5-burner stainless steel gas grill features a large surface area, side burner, and infrared technology for ultimate grilling control. 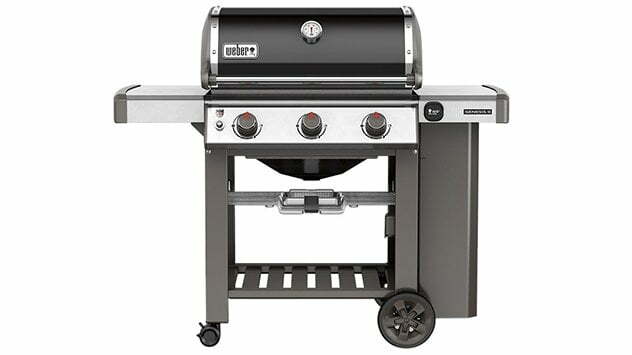 Find out about the Weber Spirit gas grill which comes with three burners and a removable, cast-iron griddle. Watch this video to find out more. Find out how to make a homemade DIY charcoal chimney starter for your grill using a paper juice or milk carton and newspaper. Watch this video to find out more. Find out a simple way to clean the cooking surface on a barbecue grill by spraying the grill with vinegar, then scrubbing with aluminum foil. 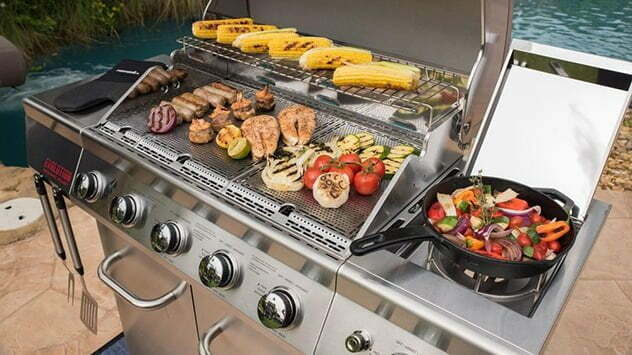 The STOK Quattro stainless steel gas grill has four burners with removable inserts in the cooking surface that can be replaced with a vegetable tray, griddle, or pizza stone to broaden your outdoor cooking options. Watch this video to find out more. To make outdoor cooking simple on the Kuppersmith house, a brick base that will house a stainless steel grill was constructed on the breezeway near the kitchen door. Watch this video to find out more.